It would have been easy to say no to the idea of this retreat. Financially speaking, I should say no to this retreat. But at the end of the day I know I can do an amazing job organizing it, and I know that it will be worth it. There are only seven openings and I need at least five people to sign up in order to break even. 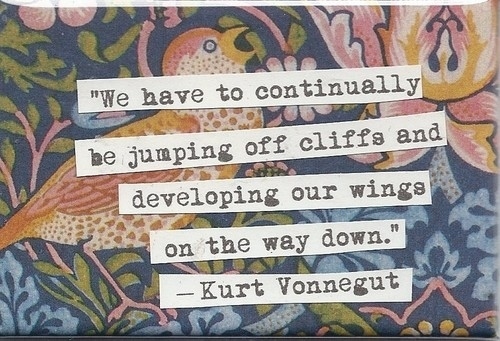 I jumped off a cliff and now I’m waiting for those wings to pop out! If you know someone who would benefit from this retreat, please share the info! Here are some of the details, but visit the website for the daily schedule and more details. We will all be staying in a quiet house in the Catskills and our meals will be brought to us. All you need are your usual writing implements, clothing, and a toothbrush. All activities are optional. They are designed to inspire creativity and enhance the craft, but your time and schedule is priority. Mornings start with yoga or mediation and the evenings end with a group critique of the day’s writing. On the last day, Chloe Caldwell, author of Woman, Legs Get Led Astray and The New Age Camp, will be joining us to talk about her experience as a writer, and offer feedback on our writing. Prices range from $540-$800 depending on the room situation you pick, and if you send a deposit by 12/15 for the early bird special. Price includes housing, meals (except for one meal at a restaurant), activities and supplies. I hope you will join me for this retreat and I hope there will be many more in the future. I’m a huge fan of Amy Poehler’s videos on Smart Girls. If you’ve ever wanted to start a large project, I suggest watching this video. Abbi Jacobson and Ilana Glazer met doing improv at Upright Citizens Brigade. They created a web series based on their unique friendship and sense of humor, and it took off, leading them to the hit show on Comedy Central. In this video, Amy interviews the writers and talent behind this zany comedy, Broad City. What are your ambitions? Are you waiting for permission to get started? I decided to have a little fun with my conference marketing. Do you have any other ideas for advertising my conference? Leave a comment! It’s less than a month away…get your tickets now! Posted in advice, creativity, Writers Work, writing and tagged hey there, how to sell tickets, video sales, Writers work conference on August 24, 2014 by Tracy. In an effort to offer a conference which is affordable, yet small enough so there is a strong sense of community, I have run into a small conundrum. Even if I sell all of my tickets, I am just going to break even. I was hoping to get more corporate sponsors but I keep running into the same problem: I don’t have non-profit status. I would love to continue creating this incredible conference series, but I need extra money to make it sustainable (I want to file for non-profit status, I want to continue bringing in amazing speakers and paying them a fair price for their talent, and I would like to make a little salary for all the time I put into this). Here’s where I’m hoping my amazing readers will come in and save the day! I know this is a brazen request, but I wouldn’t ask if I didn’t believe these conferences will make the world a better place by nurturing creative people and helping to bring their art into the world. You can help support creativity by making a donation toward the Writers Work conference through PayPal. Again, this isn’t a non-profit yet, so donations are not tax deductible. Check out my interview on Sojourner’s Sojourns, a wonderful blog that covers diverse topics from international travel with an infant to organic lotion recipes. Writers Work! A Brand New Writer’s Conference is Coming to New York. It was a long shot, but I wrote to my new favorite author, Aryn Kyle, to gush and invite her to speak at my conference and she said YES! I’m so honored to have her as a speaker at my next conference on Saturday, September 20! She will be sharing her experience of turning an award-winning short story into a novel, as well as some tips on how to get into a writers’ residency (hint hint you don’t need to be a published author). When I started this series, I wanted to find speakers who would motivate other writers and share what they have learned. Aryn is one of my dream speakers. Don’t miss this chance to meet a wonderful, contemporary author and make sure you get a copy of her books so you can get it signed! Posted in Writers Work, writing and tagged Aryn Kyle, Boys and Girls like you and me, Contemporary authors, The God of Animals, Writers work conference, writers'conference on August 11, 2014 by Tracy. When I first accepted the crazy notion that I was going to be a writer, I kept getting this advice: go to writers’ conferences and start networking. The idea made sense, but the price tag didn’t. I couldn’t afford tickets upwards of $500 on the off chance I meet someone who likes my pitch, and would remember me from the crowd of hundreds of other eager attendees. If what you want isn’t out there, make it! It’s taken a lot of hard work, but I am proud to host a conference that is affordable (under $100 including lunch), and intimate. If you know a writer in the New York area, make sure they get a ticket before it sells out. When and where is it, you ask? Saturday, Sept. 20, 2014 from 10am-4pm in Times Sq. Pitch your story idea to Shira Hoffman, literary agent at McIntosh & Otis. 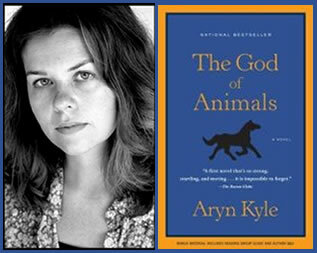 Hear from my favorite contemporary author, Aryn Kyle, about writers’ residency programs and the process of turning a short story into a novel. P.S. if you haven’t read her work, pick up a copy of The God of Animals today! Meet other people with same interests and goals so you can start having creative dates together! Meet Deborah Emin, publisher of Sullivan Street Press, a company that is working to give the power and control back to writers. 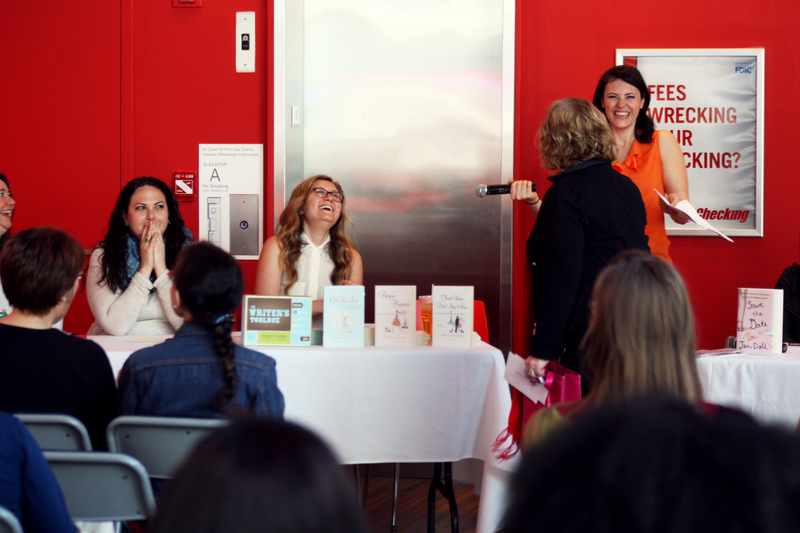 Get a behind the scenes look at the publishing world from Christina Bryza, a Senior Copywriter at Simon & Schuster. Get a free hour of guided writing, care of Gotham Writers’ Workshop, in addition to a special discount for their classes. Take your craft seriously. When you spend money on your dreams, they start to become a reality. Get out of the house, get out of the rut, get out of your head, and come and have creative fun with others! You can buy tickets here, or check out the official website. A fun moment at the last conference.